We write on behalf of the Committee on Academic Freedom of the Middle East Studies Association (MESA) to express our grave concern regarding reports that Dr. Ahmadreza Djalali, a scholar of disaster medicine, imprisoned since April 2016, was reportedly pressured to make a false confession under duress to charges of crimes against national security, and has subsequently been sentenced to death on two weeks’ notice. We urgently call on the Iranian judiciary to overturn the conviction, thus leading to his release and safe return to his family in Europe. Dr. Djalali, an Iranian-born permanent resident of Sweden who teaches in the European Master Program in Disaster Medicine (EMDM) convened by the Università degli Studi del Piemonte Orientale and the Vrije Universiteit Brussel, was arrested by security forces of Iran’s Ministry of Intelligence in April 2016 while visiting Iran to participate in a series of academic activities and visit extended family. He had traveled to Iran numerous times before without ever encountering complications with state security or immigration officers. Following his arrest, Dr. Djalali was detained in Evin Prison, and was reportedly held in solitary confinement until December 2016, when he was temporarily transferred to a public ward. During this entire time he was held without trial and without access to a lawyer, his only contact with the outside world being a two-minute call to his family every two weeks. Warned to keep the arrest private for “the sake of the detainee’s health,” the family did not publicize the unlawful detention for months. In December 2016, Dr. Djalali was briefly transferred to the public ward of Evin Prison and received access to a lawyer. The lawyer informed Dr. Djalali’s family that he was not allowed to discuss the case as it was related to a matter of national security. Without providing evidence, the authorities allege Dr. Djalali had been collaborating with “enemy states.” On February 1, 2017, Dr. Djalali informed his sister that he had been forced to sign a confession relating to crimes against the national security of Iran. Shortly thereafter, he was reportedly sentenced to death. Dr. Djalali’s wife and academic colleagues have all strongly denied any possible national security charges against him, citing his dedication to international scientific collaboration. The EMDM is an internationally acclaimed program and doctors from all over the world participate in it. Colleagues teaching in the EMDM as well as Italian health officials have pointed out that it would be preposterous for Iranian authorities to base their allegations of treason on the fact that Dr. Djalali interacts with health professionals from other countries, even if these may include Israel or the United States. International collaboration, they stress, is essential to manage the type of humanitarian disasters that Dr. Djalali trains doctors and other health professionals to treat. Dr. Djalali’s health condition is currently very poor. Since his arrest in April 2016 he had begun a weeklong hunger strike three times in protest of his unlawful detention in solitary confinement. On learning of the allegations of treason against him, he started the most recent hunger strike on December 26 and has reportedly not resumed eating since. He has lost over twenty kilograms and is now also suffering from kidney problems. Dr. Djalali’s unlawful arrest, his prolonged detention in solitary confinement, the pressure exerted on him to sign a false confession and his subsequent conviction represent another atrocious instance of infringement on academic freedom and the pursuit of knowledge. 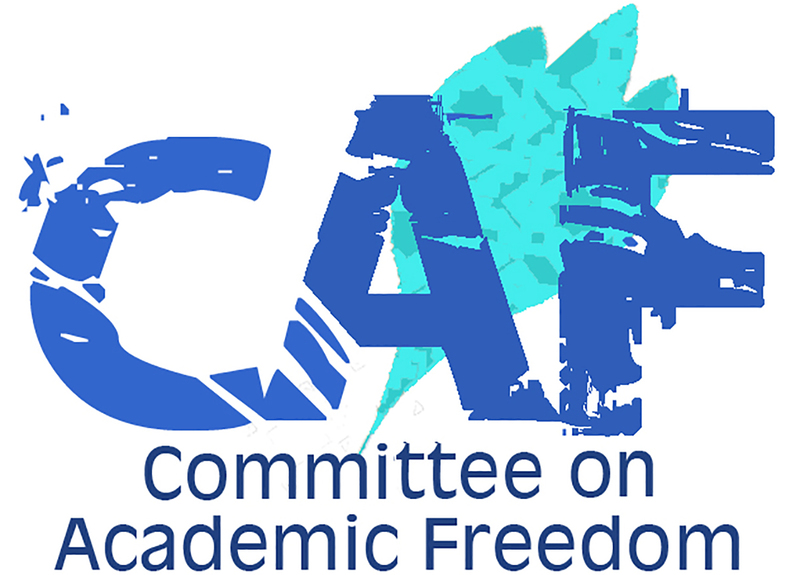 The Committee on Academic Freedom strongly objects to these violations of internationally recognized rights to academic freedom and due process in Iran. We urge you to reverse Dr. Djalali’s capital sentence, reconsider the charges against him, and release him from detention. In the meantime, we ask you to take all available steps to ensure Dr. Djalali’s well-being while in custody, including ensuring access to medical care, to legal counsel and to family. We urge you to ensure that his case is addressed in a manner consistent with internationally recognized standards of due process, fair trial, and detention in accordance with Iran’s obligations under international law.